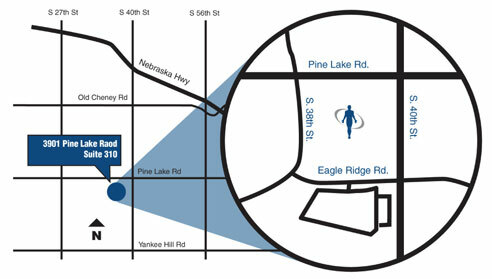 Lincoln Radiology Group’s business office is located at 40th Street and Pine Lake Road, in the Pine Lake Medical Plaza. Our office is located on the 2nd floor in Suite 214. Patients are encouraged to park on the south side of the building and enter through the main entrance. This web site is not protected by encryption. If you email a question to Lincoln Radiology using the email links, you should not include any confidential or private information. LRG makes no representation or warranty of any kind regarding the security or confidentiality of the contents of email sent to the email addresses on this web site.